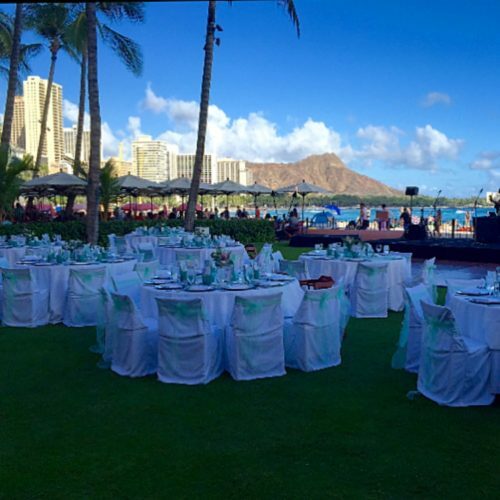 Most people know that Hawaii has been heavily-influenced by Asian cultures. 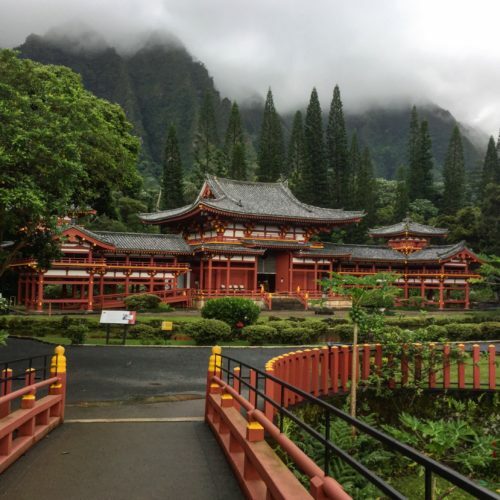 However, did you know that there is a stunning Buddhist temple known as the Byodo-In Temple hidden within the Valley of the Temples in the Koolau Mountains? Here is everything you need to know about it. 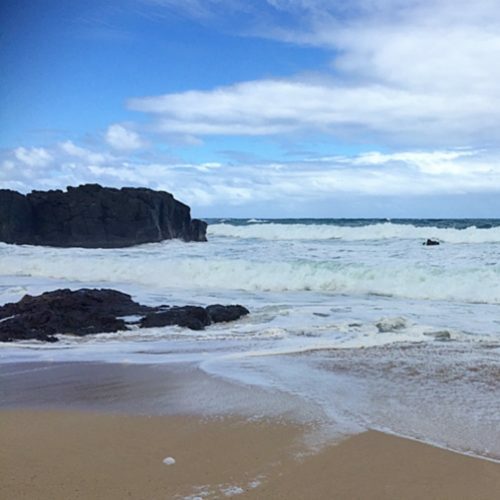 Waimea Bay is one of the most popular beaches on the North Shore of Oahu. But many of the visitors to this stunning beach barely know half of the activities that you can do there! Here is everything you need to know about Waimea Bay. Kailua Beach is the sister beach of the so-called “best beach in the world,” Lanikai Beach. However, Kailua Beach does offer a few advantages that Lanikai Beach may not. 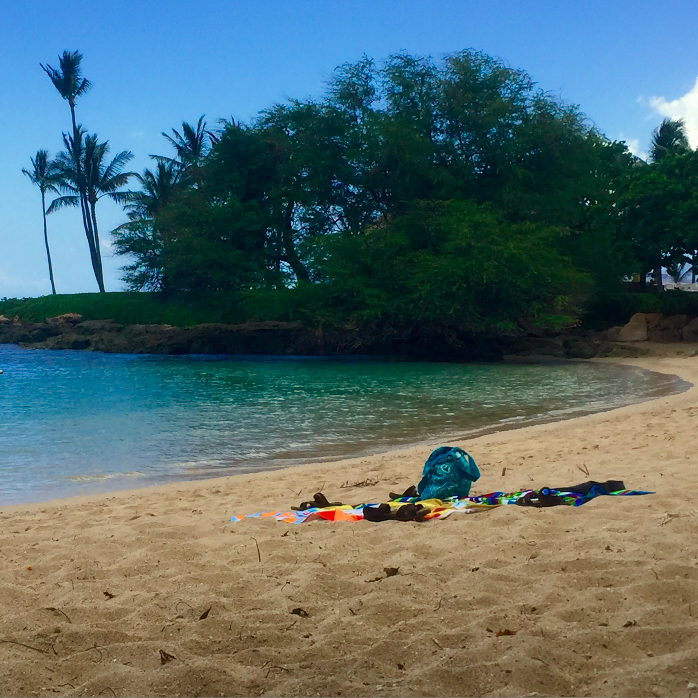 Read on to find out everything you need to know about one of Hawaii’s best beaches! 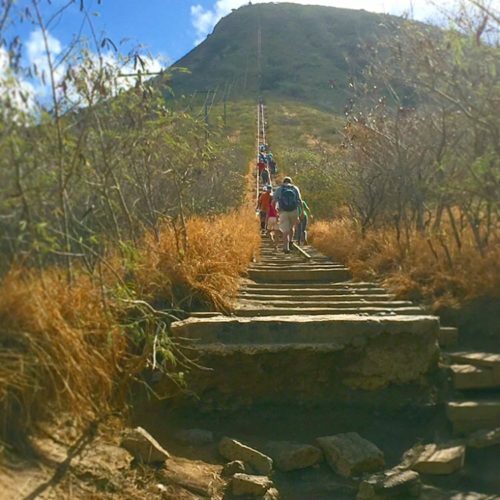 The hike up Koko Head Crater is easily one of the most popular and challenging hikes on the island of Oahu. With 1,000 steps on a rickety railroad track at a very steep incline, you can be sure that your leg muscles will be getting a very good workout! 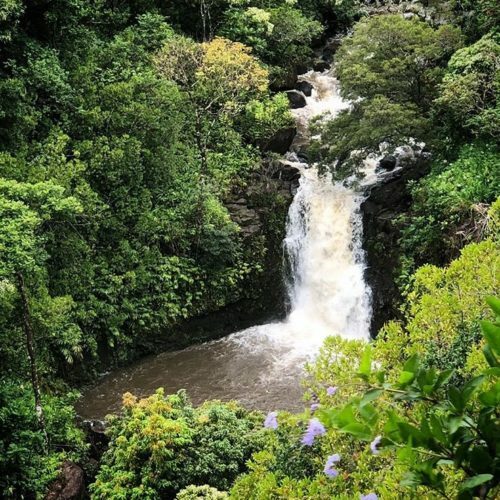 Thinking about adding this hike to your Oahu vacation itinerary? 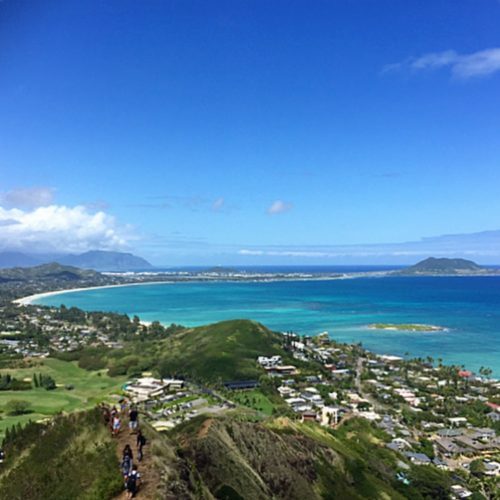 Here is everything you need to know about hiking Koko Head. There are so many things to do in Hawaii – from visiting canyons to swimming with dolphins to even seeing snow! Sometimes it’s hard to keep track of all of the activities on the eight Hawaiian Islands that are worth your time. To help you out, I’ve created a Hawaii bucket list of sorts with 50 amazing things to do in Hawaii. 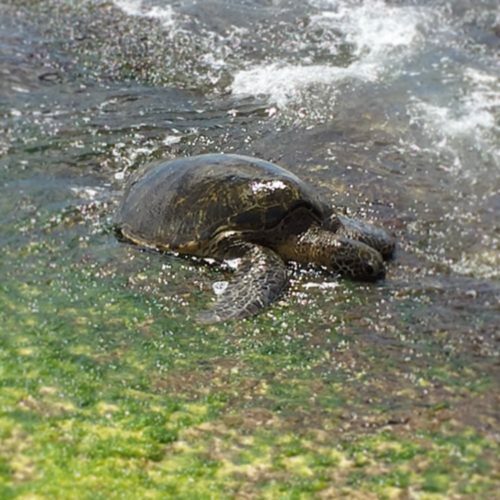 Laniakea Beach, also known as “Turtle Beach,” is the most popular place to see turtles on Oahu – and one of the most consistent too. To get the most out of your time at this sea turtle beach, here is everything you need to know. Just across from the Lanikai Pillbox hike is the stunning Lanikai Beach. 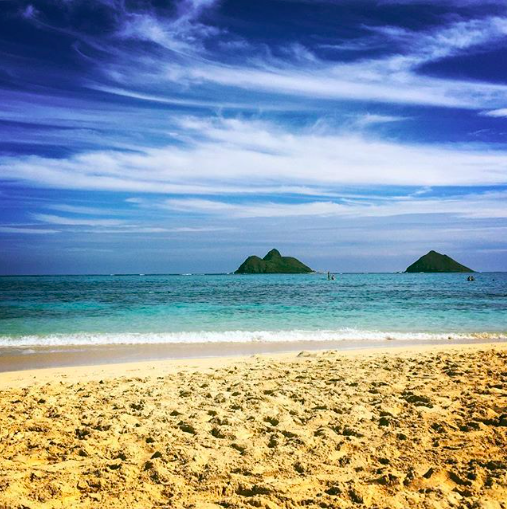 As a matter of fact, the name “Lanikai” itself means “heavenly sea” – that’s a pretty apt name in my opinion. This jaw-dropping beach has been listed on several travel sites as the best beach in Hawaii – and many times even the entire world! As a Hawaii local, I would say that Lanikai Beach is definitely high up on the list of Hawaii’s best beaches. Finding things to do on Oahu with kids can be a bit of a challenge. Of course, there are the expected ones, like building a sandcastle at Waikiki Beach. But to expand on this list with a few more creative ideas, here are 60 things to do on Oahu with kids! There are dozens of hotels in the bustling tourist city of Waikiki – but how can you tell which of these Waikiki hotels are on the beach? Even Google Maps doesn’t make that very clear sometimes! So to help you out, I’ve done a little in person digging of my own. Here is a complete list of all of the Waikiki hotels on the beach. There are so many North Shore beaches on the island of Oahu, but most tourists tend to go to the same handful of beaches. As a matter of fact, even in my Ultimate Guide to the North Shore of Oahu, I limited myself to only eight of the many North Store beaches. So, without further ado, here is a full list of all of the beaches on the North Shore of Oahu (that I, a local, know of) listed from East to West.